I first became aware of this piece of history when my co-worker Karl Henkel made a colorful rendition of related photographs, “Annie G. Galloping” (pictured at right). I looked up the story behind these photographs, but it didn’t answer the question I was wondering about: Who were the guys riding the horses? A fellow wonderer, Kem Royale, points out just how odd this is: More is known about Sallie Gardner, the horse, than about either of the riders — even though they’re arguably among the first people to star in a silent film. Well, after much poking around the internet, I can provide a bit more information about these riders. I’ve found a full name and pieced together a biography for a man who, I think, was the rider in “Sallie Gardner at a Gallop”, the mysterious G. Domm. Thanks in part to a Google Doodle, there are a gazillion websites out there that all give basically the same information about the making of “Sallie Gardner at a Gallop”. That information is laid out in the Wikipedia article. The photographs were taken at a farm owned by Leland Stanford, Muybridge’s wealthy benefactor. The farm was near San Francisco, California, in what is now Palo Alto. The jockey’s job was to ride the horse at the right speed along a track so that it would trigger a series of trip wires attached to cameras. The websites that mentioned Sallie Gardner’s rider called him “Domm” or “G. Domm”. According to one of the books cited for the Wikipedia article, “We are told that the ‘celebrated flyer Sally Gardner was ridden by the jockey Domm at a 1:40 gait in front of the apparatus.’” The quoted text, it turns out, came from an article in The Photographic News from July 26, 1878. As for the initial “G.”, I didn’t locate a primary source, but I did find it in a biography of Muybridge by historian Marta Braun. Edit (2015.12.26) I’m now reading Braun’s wonderfully attentive-to-detail book, which identifies the primary source for the initial “G.” — and calls into question the widely circulated story of how and when the well-known Sallie Gardner / G. Domm photographs were made. The initial “G.”, it turns out, is in the caption of the print. If you look closely at print, you may notice why it calls the story into question. The caption says the photos were taken on June 19, 1878. But the story says that the photos were taken several days earlier, on June 15, in front of a crowd of journalists. It seems that those were different photos of Sallie Gardner, that may never have been published. (A journalist reported that, in the June 15 photos, Sallie Gardner “gave a wild bound in the air, breaking the saddle girth as she left the ground”. Maybe Muybridge decided to retake the photos to capture a more typical gait.) Furthermore, the first photos taken on June 15 were not of Sallie Gardner and G. Domm, but of of the horse Abe Edgington and rider Charles Marvin, whom Braun identifies as Leland Stanford’s chief trainer. Their print bears the expected date of June 15. I spent a few hours googling for “Domm” or “G. Domm” in association with any other keyword I could think of — “Sallie Gardner”, “Muybridge”, “Stanford”, “jockey”, “horse”, “Palo Alto”, and so on — but couldn’t find anything beyond his first initial and last name. Since my searches weren’t turning up any new information, it was time to use my one weird trick to find anything in a web search: guess the words that will be on the page. 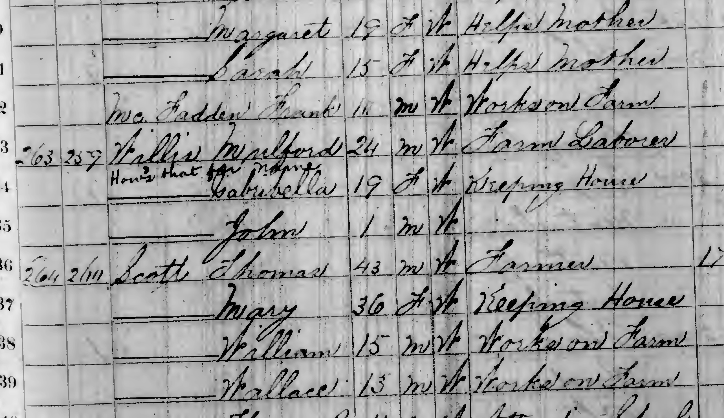 I wanted to find the first name of this Domm, so I started guessing first names that began with G.
Attempt to Pass Spurious Bank Checks in the Purchase of Live Stock. Gilbert L. Domm was arrested yesterday, by Detectives Stone and Jehu, on three charges of forgery. It appears that the accused came to this city some three years ago, with a letter of recommendation from Governor R. B. Hayes, of Ohio, to Leland Stanford, President of the Central Pacific Railroad Company. Domm was employed at Governor Stanford’s farm in Mayfield, Santa Clara county, adjoining the ranch of Peter Coots, and held a responsible position as manager of stock, but left that employ some weeks ago. For a month past, Domm has been trying to negotiate a purchase of the mares “Flora” and “Patchen Queen,” belonging to John Robl, of the Califormia Market. Yesterday, the transaction culminated in Domm tendering Robl a check for $3200, drawn on the Anglo California Bank, payable to Robl, and purporting to be signed by Peter Coots. Robl suspected that the check was bad, and detained Domm in conversation while a messenger was despatched to the bank with the check, to inquire as to its genuineness. He soon returned, with the information that the check was not good. Domm was then kept in further conversation, while the messenger went to the police office, and was soon after taken into custody by the detectives. On being searched, the following documents were found on Domm : Two other checks, one drawn in favor of S. Solomon for $24 0 [sic], the other to his own order for $150, both purporting to be drawn by Peter Coots. He claimed that he was authorized to draw them, and produced a letter, dated August 22d, from James Taylor, manager for Peter Coots, to the effect that Domm was authorized to look after blooded stock, subject to Taylor’s supervision ; also a letter from A. N. Towne, dated August 16th, addressed to conductors on the C. P. B. R. stating that Domm was employed by Governor Stanford, and was going East to purchase stock, and requesting them to assist him to the transportation of the stock, etc. Two agreements were found on Domm, one by Robl for the sale of the mares for $3200, and the other by S. Solomon for the sale of stock for $2400. The letter from Mr. Towne was genuine ; but, on being brought face to face with Peter Coots, who was telegraphed for, Domm yesterday confessed that the three checks found upon him were forgeries. Was this forger “the jockey Domm”? The first initial and (relatively uncommon) last name match. The timing is right: a few months after the photographing of “Sallie Gardner at the Gallop”. The association with Stanford’s horses is there. What else is known about Gilbert Domm? Was he really the rider in the photographs? 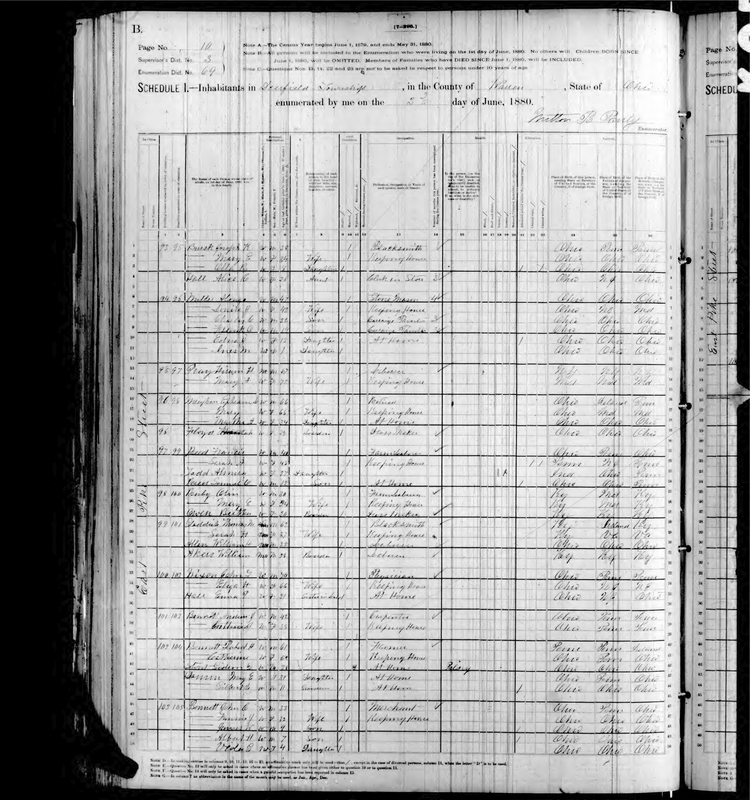 Using the genealogy websites, census records, and other historical documents available online, I tried to find out what else Gilbert Domm had done in his life besides working for Stanford and being arrested for forgery. My first stop was the genealogy websites, where various people had posted information about a Gilbert Domm from Warren County, Ohio. But details like his birthdate and the names of his family members were confused and conflicting, so I decided to go after the primary sources. As it turned out, the primary sources were also confusing. Here’s what I was able to piece together. 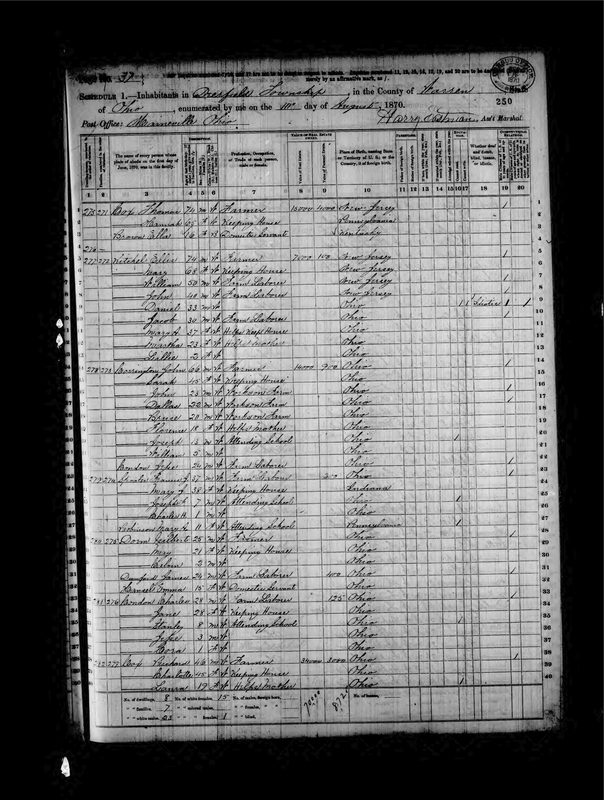 In the 1860 census for Warren County, I couldn’t find any mention of Gilbert Domm. 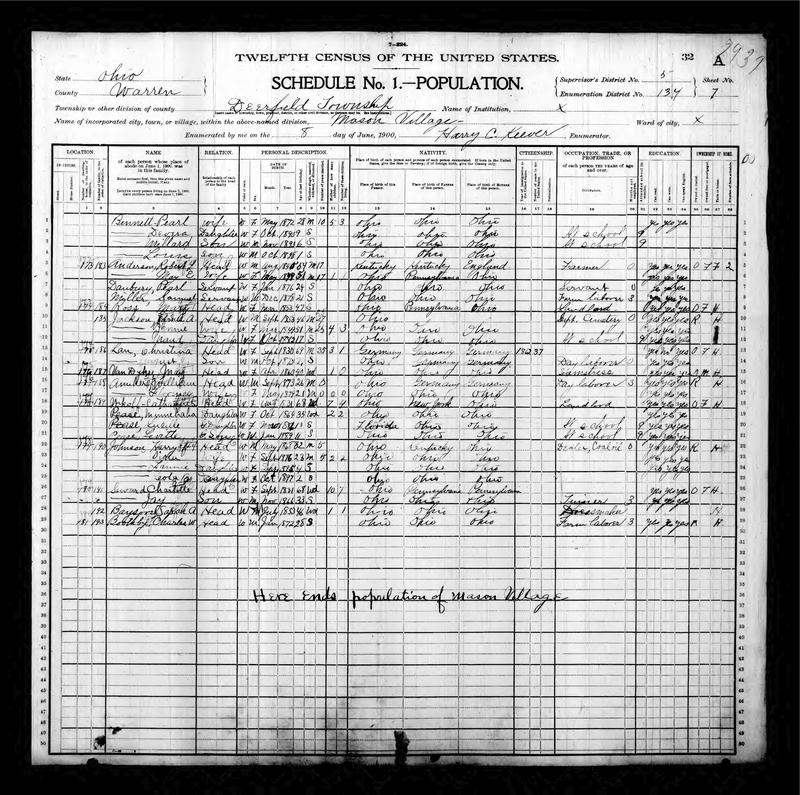 The 1890 census was destroyed by a fire. After the initial report of Gilbert Domm’s forgery, the Daily Alta California newspaper ran a couple of follow-ups. One named him as Gilbert M. Domm; the other, as Gilbert L. Domm (like in the first article). The second said that he’d been indicted by the grand jury. I didn’t find any further articles on the trial. The Report of the Board of Managers of the National Home for Disabled Volunteer Soldiers for the Fiscal Year Ended June 30, 1912 listed a Gilbert L. Domm from Ohio. During the Civil War, he’d served as a Seaman in the U.S. Navy for 12 months, and received $12 pension per month. He was admitted to the Central Branch of the National Home for Disabled Volunteer Soldiers in Dayton, Ohio, on 19 September 1908, at the age of 65. He died on January 22, 1912. Among some news articles that came out shortly after “Sallie Gardner at the Gallop” was photographed — “Muybridge’s Photographs” in the Daily Alta California, “How a Trotting Horse Appears When at a 2:20 Gait” in the Sacramento Daily Union, “The Stride of a Trotting Horse” in the Pacific Rural Press, “A Horse’s Motion Scientifically Determined” in the California Farmer and Journal of Useful Sciences, and “Automatic Electro-Photography” in The Photographic News — there was no clue as to whether the man riding the horse was Gilbert Domm. What does all of that add up to? Supposing that all of the above records of Gilbert J./M. Domm/Dorm/Damm/Dome and the jockey Domm refer to the same person, we do get a coherent story: Gilbert Domm was born around 1844 (give or take) in Ohio. As a teenager, sometime between 1861 and 1865, he joined the Navy during the Civil War. Afterward, he went (back?) to Deerfield Township, Warren County, Ohio and became a farmer. He and Mary “May” Bennett got married and, around 1869, they had a son. In 1875 or so, with a letter of recommendation from the governor, Gilbert went to California to manage the horses on Stanford’s farm. In June of 1878, he rode Sallie Gardner in the famous photographs. Shortly after that, he quit work at Stanford’s farm. In October of 1878, he tried to steal some horses by passing forged checks and got arrested. Sometime between 1880 and 1883, his marriage with May ended. I don’t know where he was in the 1880s and 1890s, but in 1908 he checked into the National Home for Disabled Volunteer Soldiers. He died there in 1912. Coherent though it may be, is this story what really happened? With the varied spellings and the sparse records, it’s hard to know for sure. Maybe somewhere out there — in the employment records of Leland Stanford, the notes of Muybridge, or the letters of Domm or his friends — there’s a more definitive connection between Gilbert Domm and “the jockey Domm”. When searching for “Sallie Gardner at a Gallop”, another series of photographs persistently comes up: Plate 626 of Muybridge’s collection Animal Locomotion, captioned “‘Annie G.’ galloping”. And I can see why. Taken later, the photos in Plate 626 are much better quality. So, who was the rider in Plate 626? Right now, I can only make broad guesses. He appears not to be Domm. He appears to be black. He appears to be wearing a jockey uniform. He leans farther forward and keeps his posture straighter than Domm, which suggests to me that he’s better trained as an equestrian. Since the photographs for Animal Locomotion were taken during Muybridge’s stint at the University of Pennsylvania, the man might have lived in Philadelphia. I don’t even have a last name for this guy, but I know one place where it might be. Muybridge recorded details about the Animal Locomotion photographs, including the names of the models, in a series of notebooks. Some of those notebooks are now at the George Eastman House library. According to authors Sheila J. Foster, Manfred Heiting, and Rachel Stuhlman, it’s possible, though not easy, to match up the notes with the plate numbers in Animal Locomotion. I’ve started talking with a helpful librarian at the George Eastman House to find out if the notebooks indeed hold the answer. My searching turned up a possible answer to one question: Who was “the jockey Domm” in “Sallie Gardner at a Gallop”? It may have been Gilbert Domm, a livestock farmer from Ohio. It also turned up fragments about the two questions I find most interesting about history: How did things get to be the way they are today? and, What were people like back then? As for what people were like back then, beyond the dry facts, I ran across some vignettes of the people connected to Muybridge’s photographs that made the past seem a little more real. One in particular made me look at the horse photographs in a different way. An article in the Daily Alta California described an exhibit of Muybridge’s photographs at the San Francisco Art Association, and the people who came to it. Upon viewing this landmark achievement in the field of photography, some spectators found “several of the positions which the horse assumes while in rapid motion… so comical as to excite the[ir] risibilities”, or in other words, to make them laugh. Submitted by Kem Royale (not verified) on 2015.01.10 @ 06:17. | Re: Who were the jockeys in Muybridge's photographs? Thanks for reading, Kem! I appreciated how, on your website, you pointed out the historical significance of the jockeys and compiled information on G. Domm. This was my first research on history (I’ve previously written about various other topics on fdiv.net) and took a few dozen hours. Submitted by jstrecker on 2015.01.11 @ 16:53. | Re: Who were the jockeys in Muybridge's photographs? Let me echo others’ congratulations. This is a wonderful article. What terrific work! I’ve matched all the notes with the plate numbers and am happy to share with you. The notebook pages pertaining to Annie G, however, are missing. Annie G was series negative number 1289 and was photographed some time between August 7 and September 15. Those are the dates for which there are no notebook pages. Muybridge almost never mentions the jockeys in Animal Locomotion except for the naked rider who was a professor at the university. I wish I knew someone like you to do all the research on the models. They all have names and we can correlate them in the plates and notebook titles. Submitted by Marta Braun (not verified) on 2016.09.19 @ 21:23. | Re: Who were the jockeys in Muybridge's photographs? Thank you, Marta! I enjoyed your book and would recommend it to anyone who’s curious about the history of photography or the strange life of Eadweard Muybridge. Good to know that the notes on Annie G are missing. After reading your book, I had been trying to find the time to travel to the George Eastman Museum, but that saves me the trip. I wonder what happened to those notebook pages. Recently I came across an informative series of articles on the history of black jockeys on the Ealy Mays Artworks website. I was curious if it would be possible to match up Annie G’s rider with photographs of jockeys in the Philadelphia area. Given the large number of jockeys at the time (I had no idea horse racing was so popular) and the low resolution(?) of Muybridge’s photograph, it sounds like it would be difficult. I appreciate the offer to share your collation of notes and plate numbers. My motivation for starting this project was actually curiosity about the black jockey on Annie G, since I like to read about history from African-American perspectives. I probably won’t do any further research on Muybridge’s work unless I get a lead on the jockey’s identity. Best of luck on your continuing research. It will be interesting to see what you find out about the models. Submitted by jstrecker on 2016.09.21 @ 12:33. 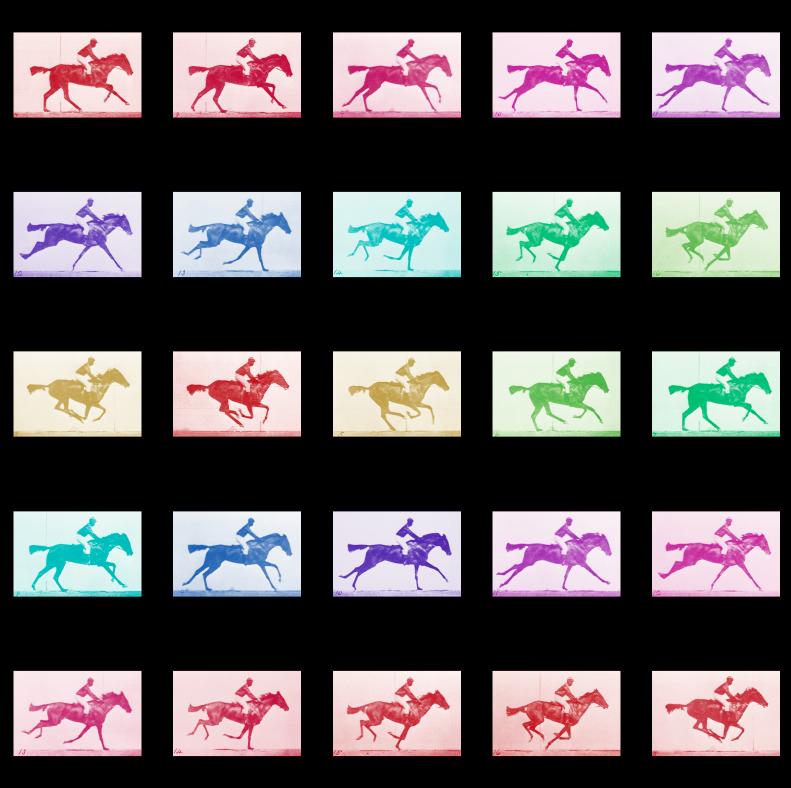 | Re: Who were the jockeys in Muybridge's photographs?